Figural composition designed in 1635 by Pietro da Cortona (Pietro Berrettini), Italian, 1596 - 1669. Woven at the Barberini tapestry factory, Rome. Workshop of Jacomo della Riviera, Flemish. 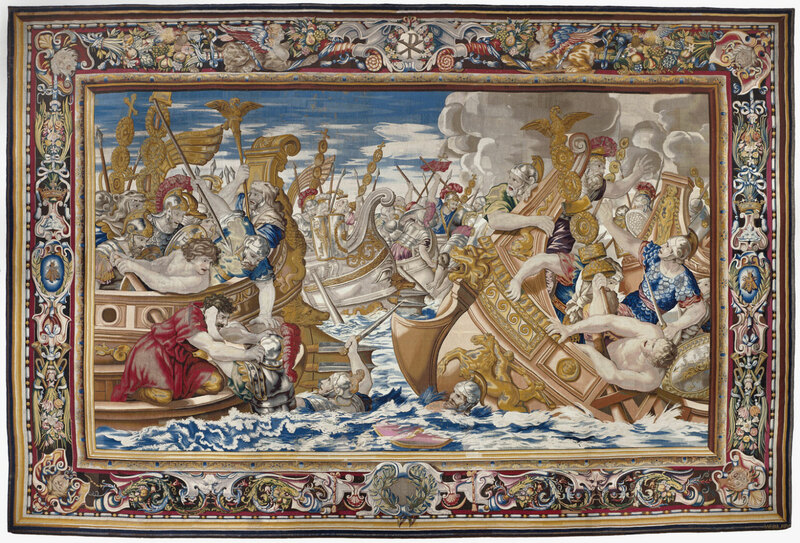 This tapestry is from the series that Cardinal Francesco Barberini ordered from his own factory to complete the set given to him by Louis XIII of France.